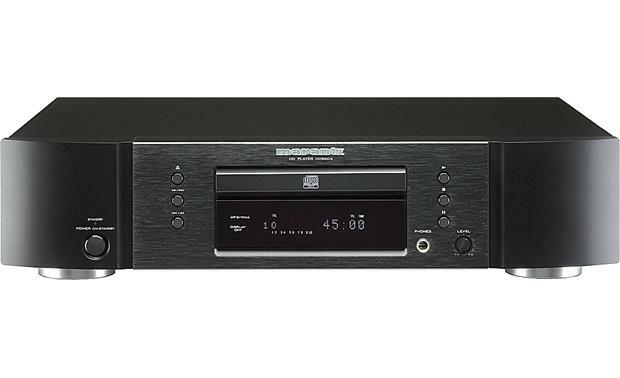 Give your audio system a boost with the Marantz CD5003. Give your audio system a boost with the Marantz CD5003. This CD player offers superb performance, refined looks, and exceptional flexibility. Just pop in your favorite disc and enjoy spacious, detailed sound with pinpoint imaging and a wide soundstage. Music enthusiasts will love this player's Audio EX mode which bypasses the pitch control, mutes the digital audio outputs, and turns off the display. With these potential noise sources eliminated, the CD5003 delivers pristine audio reproduction via the player's analog output. Coaxial and optical digital outputs let you connect the CD5003 to any receiver with a digital input. Or, you can take advantage of this player's high-quality digital-to-analog converter by making an analog connection to your receiver or amp. A gold-plated stereo RCA output ensures the best possible signal transfer and features widely spaced jacks that won't cramp heavy-duty cable connectors. After the Denon failed (No recommendation for that company from me), I purchased the Marantz. Knock out for the money. 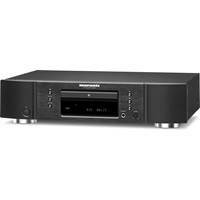 Disc Compatibility: The Marantz CD5003 Single Disc CD Player can play CD, CD-R, and CD-RW discs. CD-TEXT: The Marantz CD5003 supports CD-Text information such as artist name and track titles. The CDs used must also support CD-Text for this feature to work. MP3/WMA Playback: The CD5003 supports MP3 and WMA files that have been recorded onto CD-R or CD-RW discs. CS4392 High-Performance D/A Converters: The CD5003 uses a Super-Audio CD grade 192kHz/24-bit Cirrus Logic CS4392 D/A converter to provide exceptional sound quality. CD Playback Technology: During CD play, the PCM signals recorded on the disc are oversampled to 128fs inside the D/A converter and then processed by a combination of the dynamic element matching (DEM) and multi-element switched capacitors to achieve playback characterized by a high linearity. 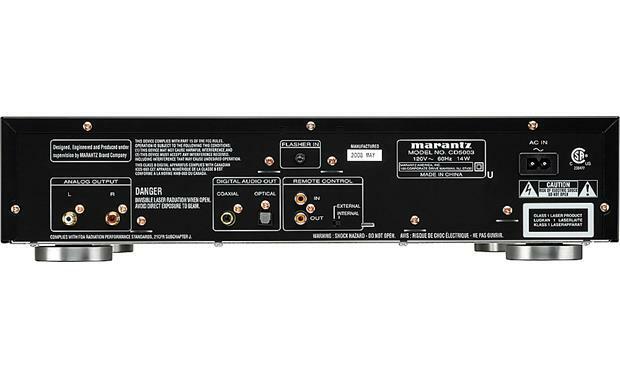 HDAM (High Definition Amplifier Module): Marantz uses HDAMs instead of standard op-amps, rendering a more dynamic sound and less susceptibility to radiated noise, heat, and vibration. The unit uses an HDAM-SA2 for high speed and high quality sound. Display On/Off Function: The CD5003 features a Dot Matrix FL display . The "Display Off" function enables the main unit display to be turned of. By turning off this display, the pulsive noise generated from the display is reduced, thus eliminating its effects on the music signals. Audio EX Function: The Audio EX mode is provided in order for you to enjoy high quality sound based on how you have connected the CD5003 to your amplifier. There are three settings - Off (digital signal is only output when the pitch control setting is 0), EX 1 (offers better overall sound), EX 2 (offers best sound from analog outputs). Quick Replay Function: By a single-action operation, the "Quick Replay" function enables play to be moved back from the current play position to the time equivalent to the setting (range of 5 to 60 seconds) and play to be resumed. This function makes it possible to return to a part of the track that was just played so it can be heard again. This functions is only possible when playing audio CDs. High Grade Headphone Circuit: The high-grade headphone circuit incorporates a high-speed buffer amplifier to enable headphone listening of high quality sound reproduction. 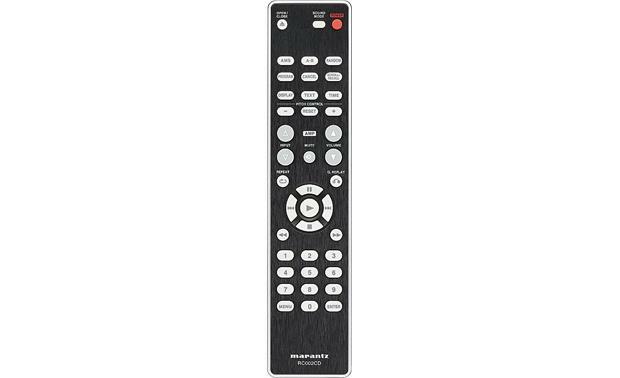 Wireless Remote Control: In addition the unit's from panel controls, the single CD player comes supplied with a dedicated full-feature IR wireless remote control for easy operation of the CD5003. 20 Track Music Calendar: A linear music calendar appears at the bottom of the display, and lights up with the number of tracks on the currently selected disc, up to 20. An "arrow" icon indicates the presence of 21 or more tracks. After a track has been played, the number for that track disappears from the calendar display. In addition, the tracks selected during Program Play appear in the music calendar display, and disappear after they are played. This Music Calendar is only available when playing back Audio CDs. Peak Search: This feature allows you to search for the loudest passage on the disc. Random Play: You can play all tracks of the disc in random order. Program Play: You can arrange and play tracks on a disc in a specific sequence. Up to 30 tracks can be programmed. As you are selecting tracks, the display will show the number of tracks in the program, and the total playing time of the programmed tracks. During program play, you can repeat the entire list of programmed tracks, or play them in random order. AMS: The Automatic Music Search feature will play the first 10, 20, or 30 seconds of each track on the disc. When you find the song you want to listen to, you can press the AMS or play buttons for normal playback. File Skip: Skip to the next or previous file or the beginning of the current file. Repeat Play: You can repeat playback of one file, the entire disc, the contents of on folder or specific portions of a file (A-B repeat). Random Play: You can play all files of the disc in random order. AMS: The Automatic Music Search feature will play the first 10, 20, or 30 seconds of each file on the disc. When you find the song you want to listen to, you can press the AMS or play buttons for normal playback. Editing Features: Use the following editing features when recording from the CD player to a Tape Deck. Simple Edit: This operation fits tracks into a specified tape length while keeping the tracks in their original order when recording from the CD player to a Tape Deck. Program Edit: This procedure allows you to record tracks in any desired order while fitting the tracks into a specified tape length. Delete Program Edit: When recording from a disc to a tape, this procedure allows you to omit the tracks you do not want to record, while fitting the tracks into a specified tape length. Start Edit Recording: By connecting the remote control inputs found on back of the CD player to a compatible Marantz Tape Deck you can Synchronize the start of the playback by the CD player and the record function of the Tape Deck. Analog Output: The CD player also features a stereo RCA input for analog connection. Headphone Output: The unit has a front panel 1/4" headphone jack with level control. Remote Control: Two RCA jacks (1 "in" and 1 "out") are provided for connecting the player and another Marantz A/V component for system remote control purposes. 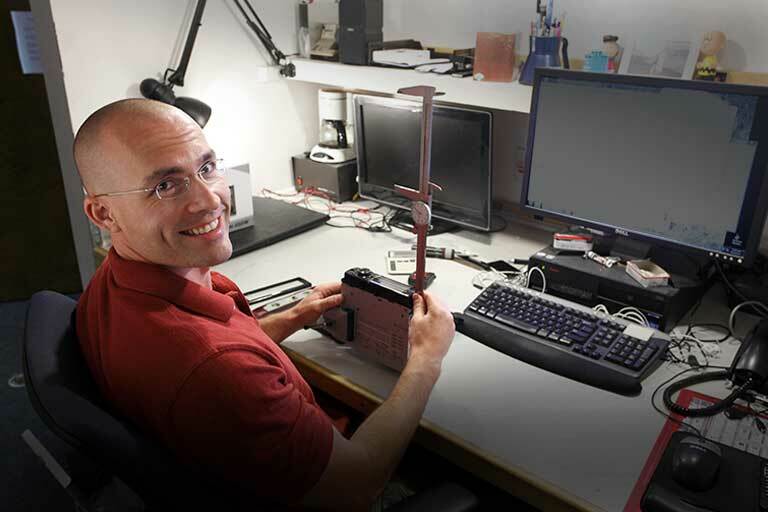 The accompanying switch allows you to select the remote control mode you desire: External (when the player is connected to another component's remote control jacks) or Internal (when the player is used as a standalone component).